The new 16 year lease will move them out of 140,000 sq ft in Fifth Street Towers to 105,000 sq ft in 50 South Sixth Street in late 2017. This may not be a popular opinion, but I rather like the current Baker Center exterior. I'd rather they rehabbed it than renovated it. I can't say I like the current exterior, but I don't think it's bad at all, with the exception of the first floor. I think they could just open that up some and then replace the glazing/window wall system and it would be just fine. Select Comfort is moving it's headquarters and about 900 employees from Plymouth to 1001 3rd Ave. S.
Isn't this the vacant server farm building? did someone renovate it and we missed it? 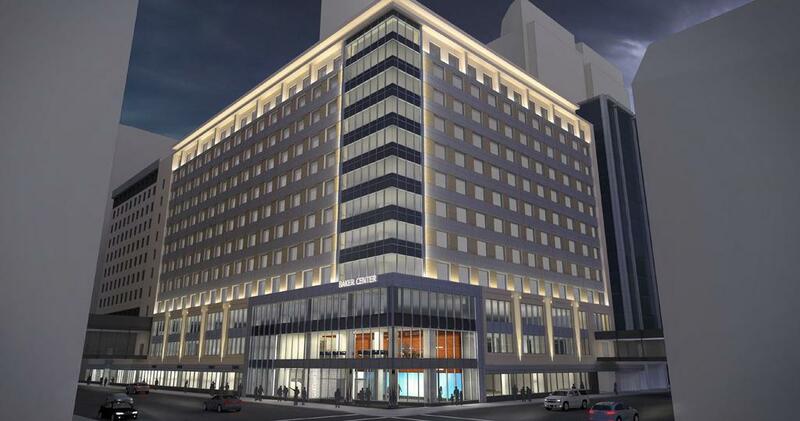 Wow, that's a nice win for downtown! Huh. Another brand I definitely recognize, that I had no idea was based in Minnesota. Cool! Bizjournal unlocked story for those who want the details. Didn't know the exact history of this weird building or that it could be connected to the learnington ramp via skyway. Great news about Select Comfort with 900 employees moving and a 211,000 square foot 15 year lease according to Startribune. As far as prudential goes I wonder if losing their helipad would be a deal breaker? I think HCMC's is the only one in downtown. That 1980s deep blue Ameriprise block could sure use some upgrades on the street. Other than the building entrance on the corner of 3rd Ave and 10th St, the sidewalk frontage is entirely blank walls. 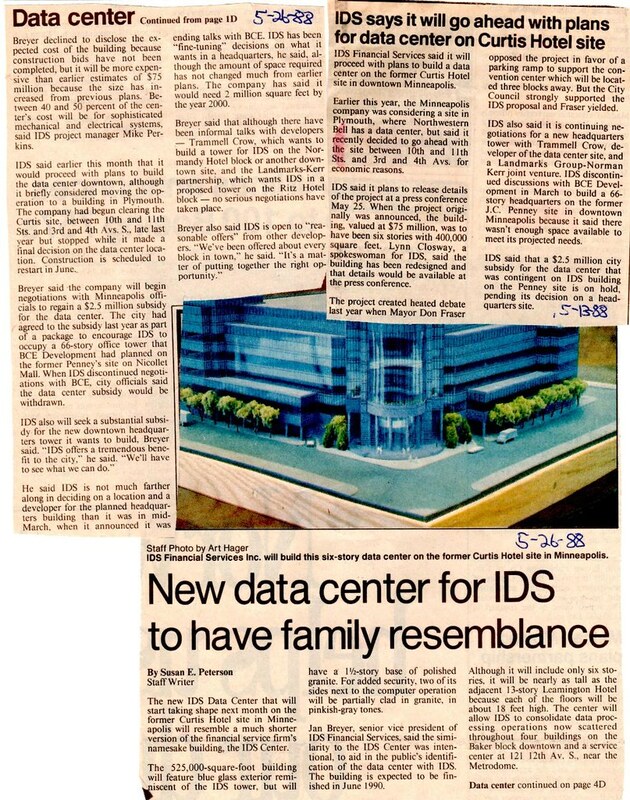 The IDS data center has come up as a topic, so here are a few articles I clipped from the newspaper in 1988 to show the history. The first article is in the upper right, and the second article a few weeks later starts at the bottom. mattaudio wrote: That 1980s deep blue Ameriprise block could sure use some upgrades on the street. Other than the building entrance on the corner of 3rd Ave and 10th St, the sidewalk frontage is entirely blank walls. I would think they'd try and get a show room, at minimum, on street level to get convention attendees.